Only complaint is that the battery compartments limit the batteries one can use. I use Floureon 3s 11.1v 5000mAh 55c lipos in mine. 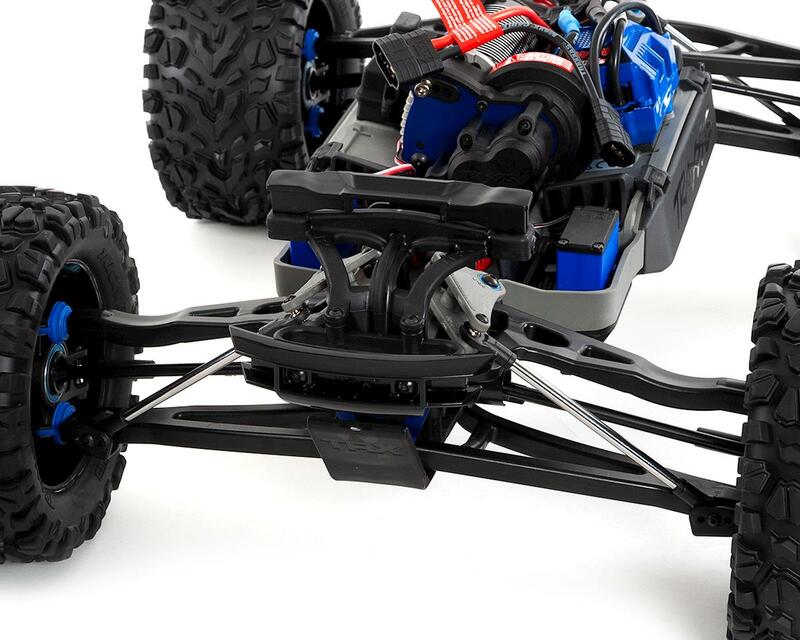 Tight fit but it gets the job done and will last longer than the Traxxas lipos so I’m happy. I just got my E revo 2.0 about 2 weeks ago. I love this truck. I have not managed to break anything yet. 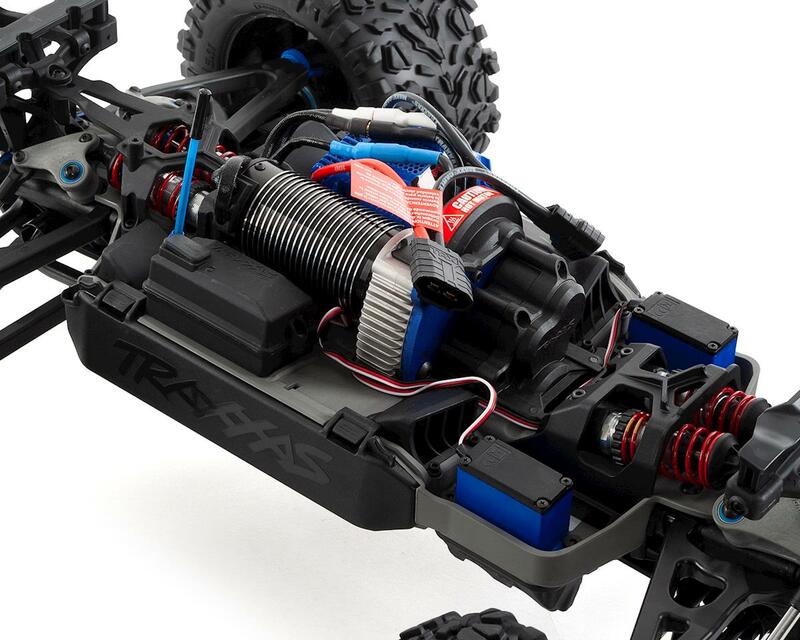 I really think Traxxas really went all out with this truck. P.S people please stop giving bad review if you have not got the truck. I've had mine 3+ months now, so feel I can now review this with some experience. Awesome on 6S, but within 2(!) runs the outdrive cups, especially the rear, had grooves and were showing significant wear. I rotated the left front to right rear, and right front to rear left, and have only run it on 4S since. This car is lovely on 4S, controllable and plenty of speed. The sidewall of the tires tore relatively soon, but in fairness to Traxxas the abandoned BMX track I run on has exposed rocks, and hitting these (repeatedly) while doing 4 wheel drifts around banked turns will eventually do this to all stock tires. I have replaced the stock items with the thinner 3.8" Proline Badlands which make the truck much more responsive and precise, and undoubtedly reduce the wear on the outdrive cups. 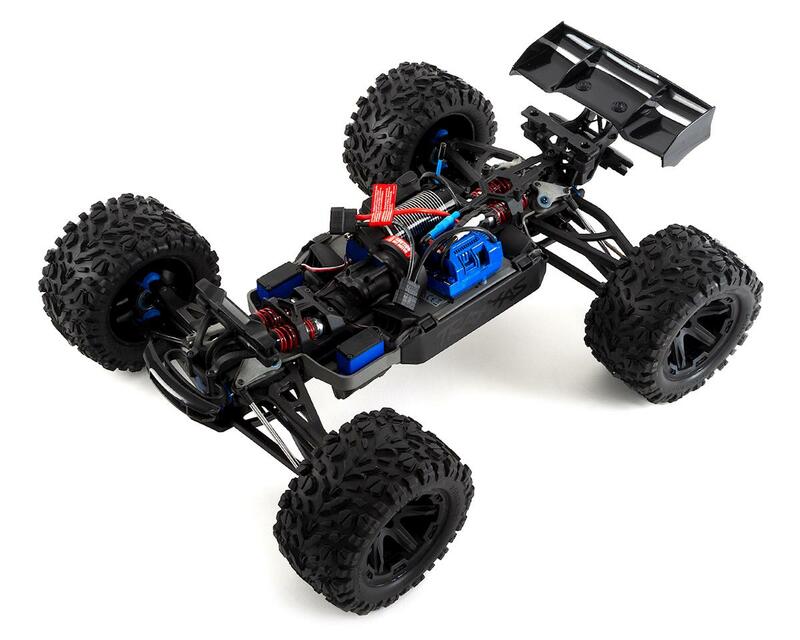 I installed the aluminium chassis brace (which I had on my old E-Revo v1) and that makes a big difference, as well as the Tekno skid plates TKR1008 (the rear skid plate shows wear quickly due to the softer suspension). I put thicker weight oil (60 I think?) and a little bit of extra pre-load into the rear shocks to stop the rear sagging. 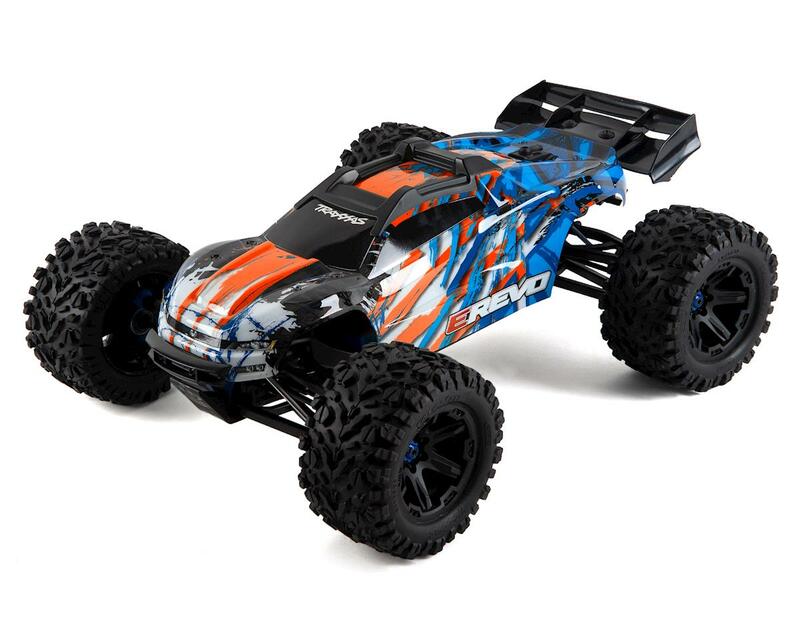 The clipless body is great, but not quite as easy to get on at the front as the X-Maxx. Overall this car isn't perfect (none are) but it's flaws are easily rectified and it's fantastic to drive and looks great! It's funny how people get a bad review because they are to lazy to go find a truck. Review the truck not your ability to get the truck. Ok now the truck is a beast. I couldn't be more impressed and the customer service is amazing. These other reviews are just plain dumb. I ordered the new E-Revo on Apr 2nd knowing it would take a while. At the time, Traxxas estimated it would be mid May but I went with Amain due to proximity/reputation. Amain still has not given me any sort of time frame, except what the Traxxas website says. 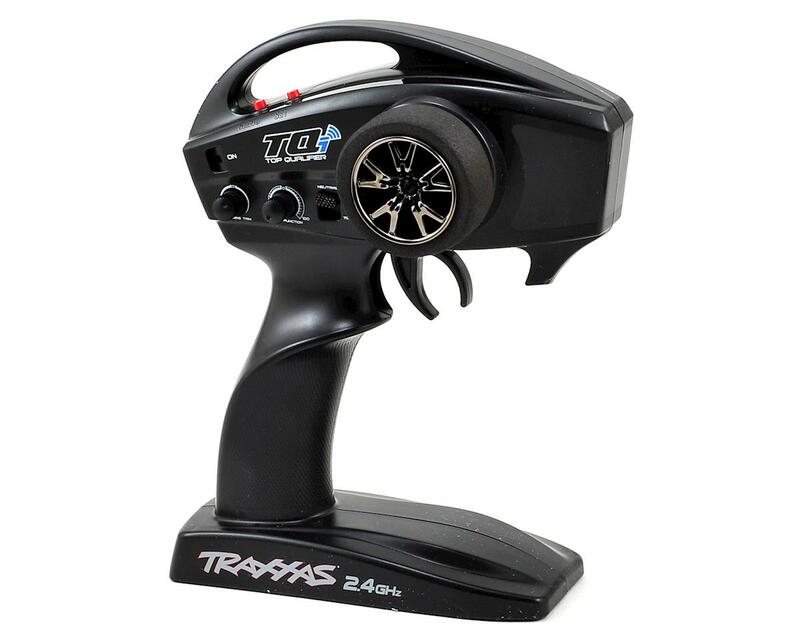 Unfortunately,the Traxxas ETA is for those who order it present day. It's been 10 weeks, 4 phone calls and no ETA. That's unacceptable. I can't go local, no hobby shops,and I don't want to cancel and reset the clock at least six weeks somewhere else. Poor customer service IMHO. 3 of 19 customers found this review helpful. 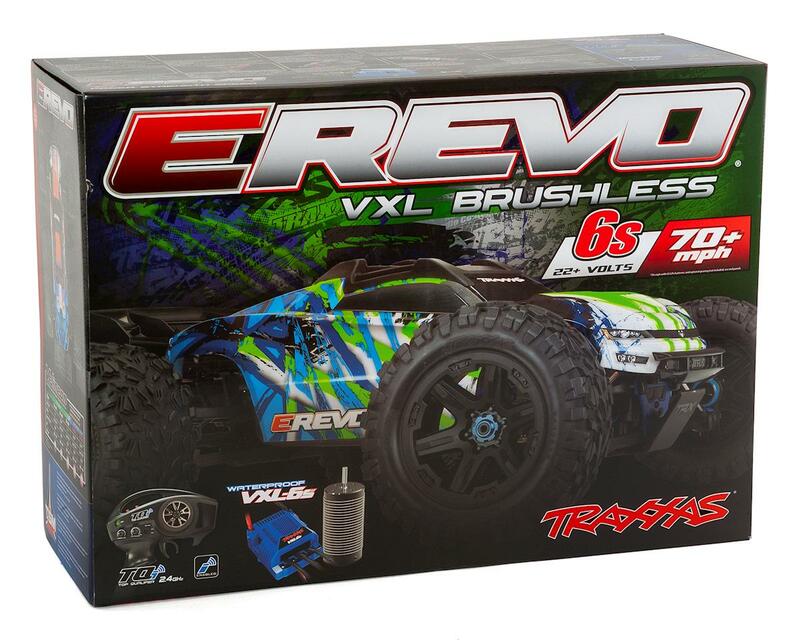 Giving this product a 1 star bought for husband as early b day present/recovery present was in an accident were he got ran over I thought I'd get him a new car hes been out of hobby about 8 years,thought I'd help with recovery this was in feb.sent emails to both Amain and traxxas and kept getting end of month end of month. 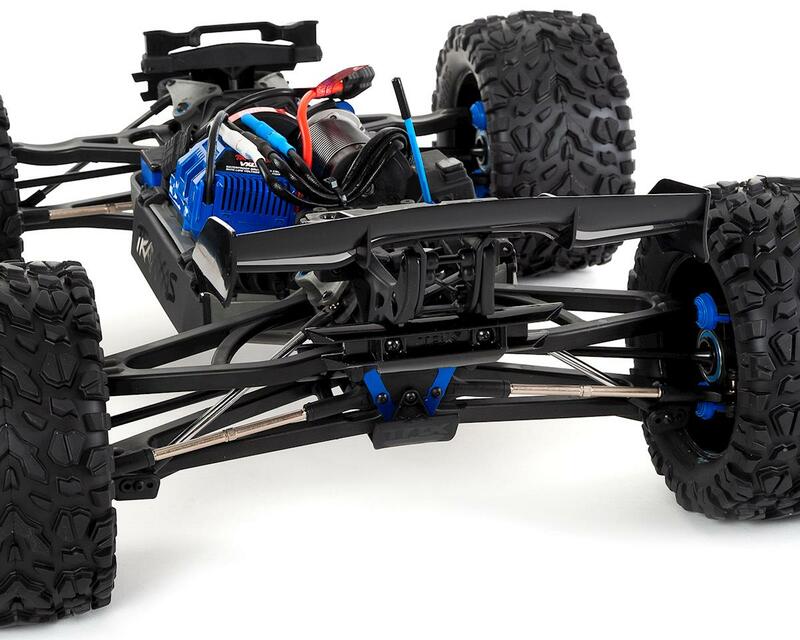 I even asked traxxas how is it I seen my husband watching videos of other people on YouTube with them there response was to give the smaller retail stores a head start. This is a horrible way to launch a revised product wish I went with a different product I only went with this because my husband had one in the past.